For families, for big groups or even for birdwatchers, River Barn stands for relaxation. 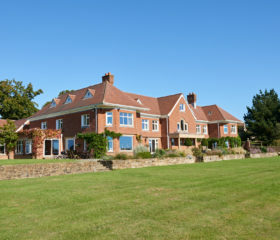 With the Sussex Downs spread out before you, you’ll revel in the quiet, the serenity and the luxury. 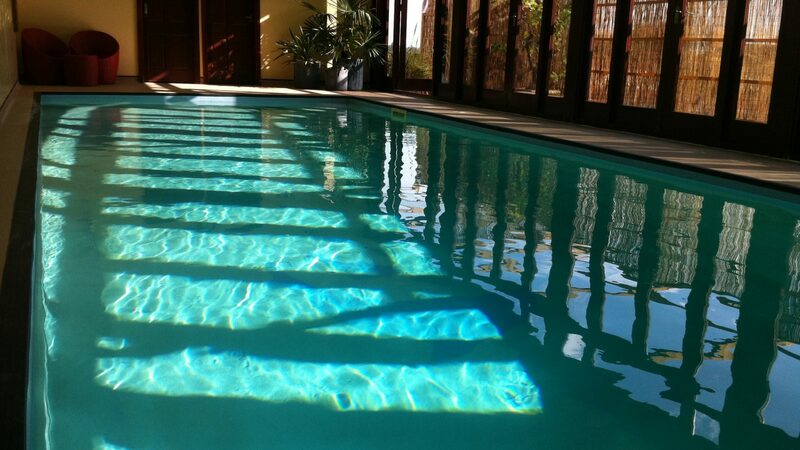 Go barefoot on the heated floors, get together around the inglenook fireplace and spend the day in the heated pool. The Sussex Downs are spread out before you and the hoot of an owl is the loudest sound for miles. 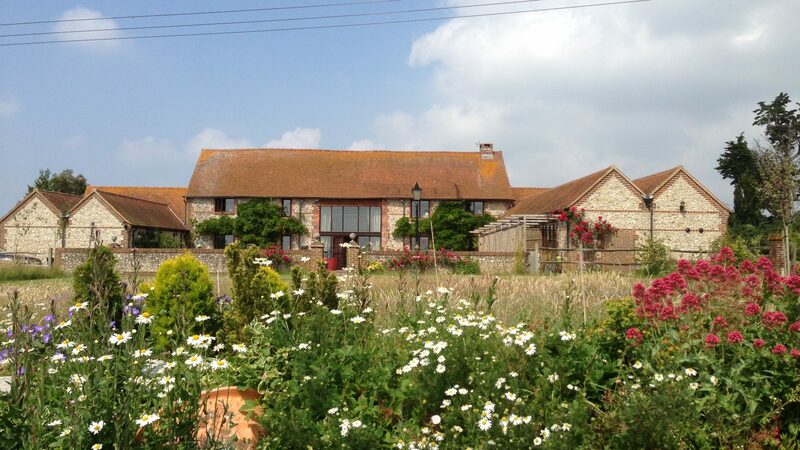 River Barn is relaxation itself, whether you’re an extended family, group of twenty friends, or even a troop of twitchers exploring the Arun Valley wetlands. Brooklands is your flexible friend. 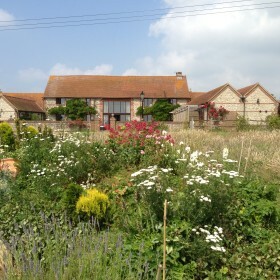 A converted barn just a swallow swoop from the centre of historic Arundel, River Barn has bells and whistles to burn. You’ll go barefoot on the underfloor heating. You’ll luxuriate in the Temple Spa toiletries and fluffy towels. 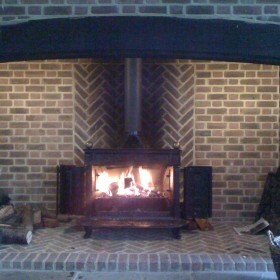 You’ll all get together around the inglenook fireplace. And you might just spend the whole day in the heated indoor pool. 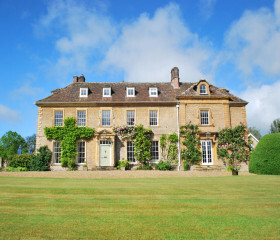 Potter the private gardens; fire up the barbie; eat and be merry twenty at a time around the giant dining table. There’s wifi for keeping in touch and ten double bedrooms, including eight with en-suite bathrooms. 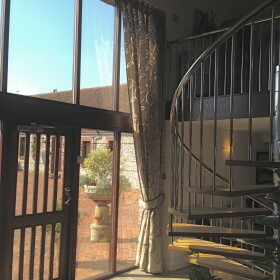 Climb the spiral-staircase for views of the Downs and castle. 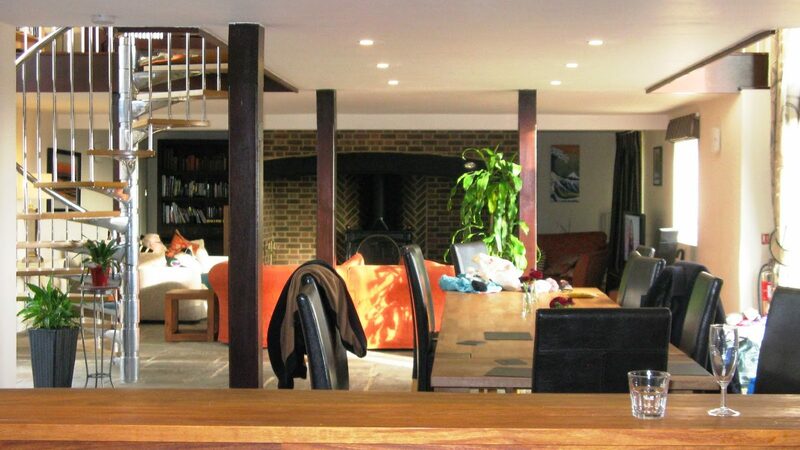 River Barn is flexible, spacious and contemporary. It’s a place to switch off the world and switch back on to what matters in life – family, friends and making the most of every moment. 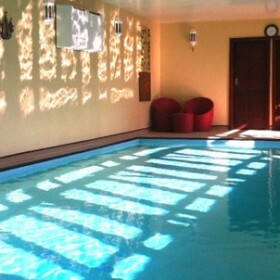 Take a dip in the indoor heated swimming pool. Relax on the edge of the pool on a sun lounger as the kids splash around in the water. 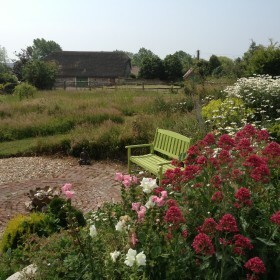 There are two beautiful acres of gardens for you to explore during your stay at River Barn. 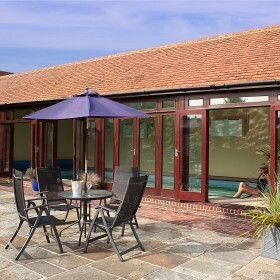 There is also an internal gated courtyard garden which provides a secure area for families and children to play and relax. 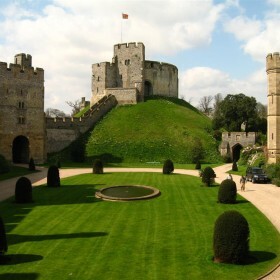 There are a beautiful selection of secluded gardens for big barbecues, outdoor family games, or to just relax watching the sunset over the Arundel Castle. 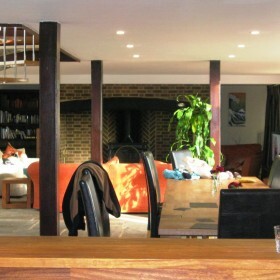 The beautifully restored 19th barn has exposed beams and a family friendly open plan living area. The main barn has a large living space with an impressive inglehook fireplace and lots of comfy sofas to curl up on with your friends and family. 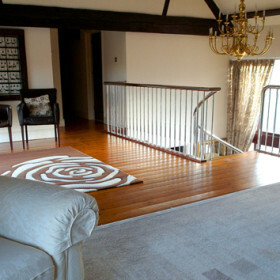 The spiral staircase leads up to a relaxing mezzanine floor with sofas and chairs, a great place for teenagers and old kids to chill out in during your stay. 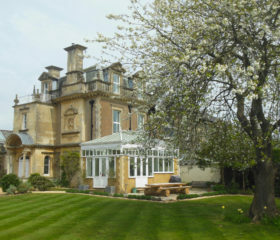 Graystone and Jamestone Barn both have large open plan living areas with french doors leading onto the terrace gardens. 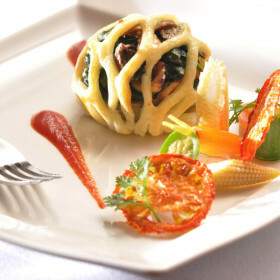 There is a large family kitchen for you to make your own and cook up a storm. 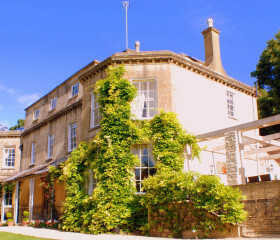 Early breakfasts enjoying sunrise, or large family dinners with a glass of vino, cooking’s a real pleasure at River Barn. 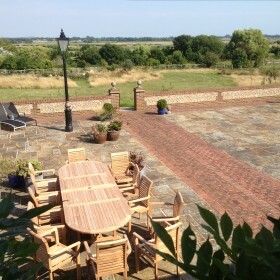 There is a patio terrace to the rear of River Barn, for one of a kind al fresco dining overlooking the beautiful Arun Valley. 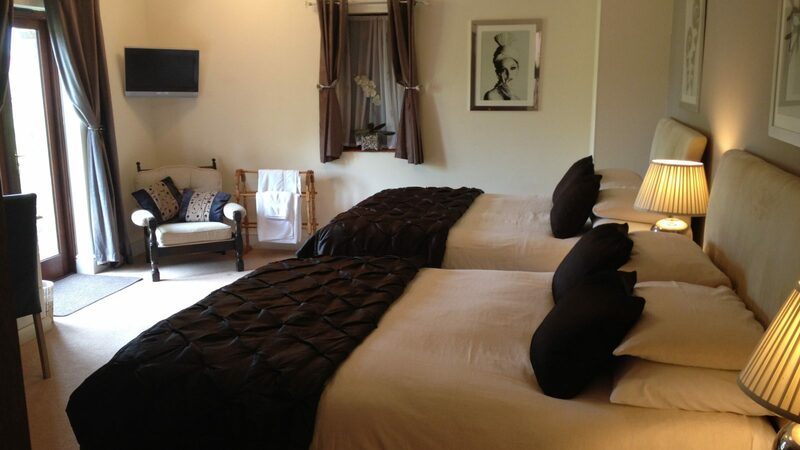 River Barn has ten bedrooms for you to choose from, sleeping up to 20 guests. The main barn has four en-suite double bedrooms, over two levels, all with stunning views over the surrounding countryside. Graystone Barn has three en-suite bedrooms, all with garden views and all are on the ground floor, perfect for guests with mobility issues. Jamestone Barn also has three bedrooms. 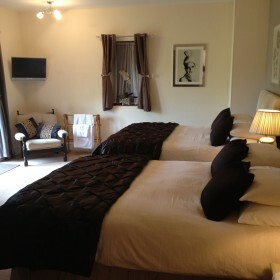 All three are large with twin or super king beds, with garden views and character beams. There are two family bathrooms for you to make use of. 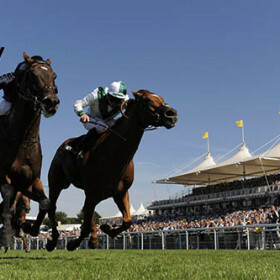 Have a flutter at Goodwood or step back in time at the Revival. 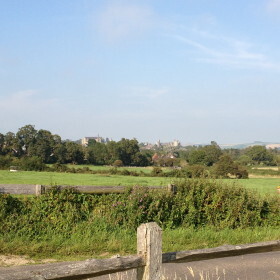 Potter down to Arundel for a mix of heritage, urban chic and country pursuits. Take your bucket and spade to blue-flag beaches. Trek the Downs. 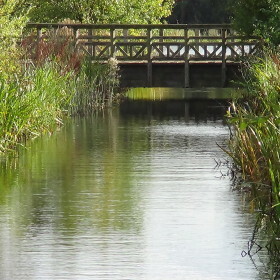 Get twitchy in the famous Arundel Wetlands Centre.